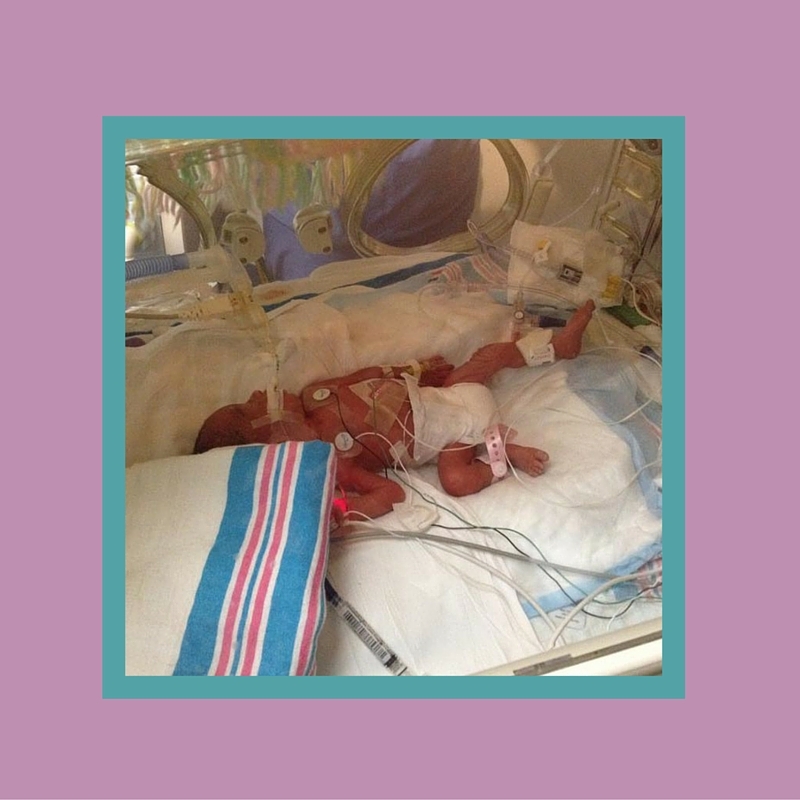 Welcome back to Micro Preemie Mondays! Thank you so much for reading our story last week. Today, we start the first of 4 new family posts. 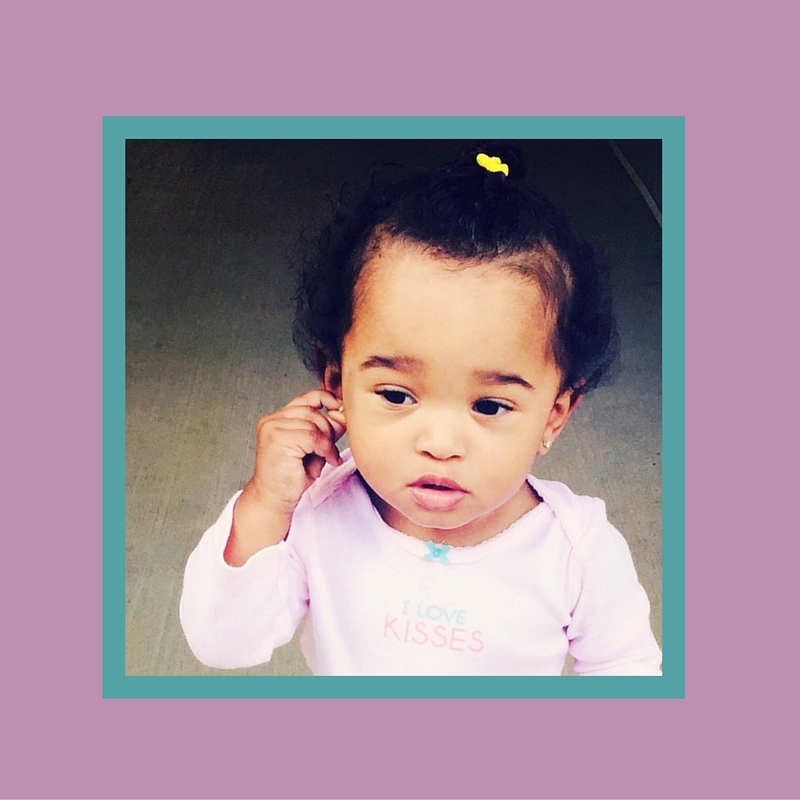 We’ll meet Adiana, as told by her mom, Adrienne. 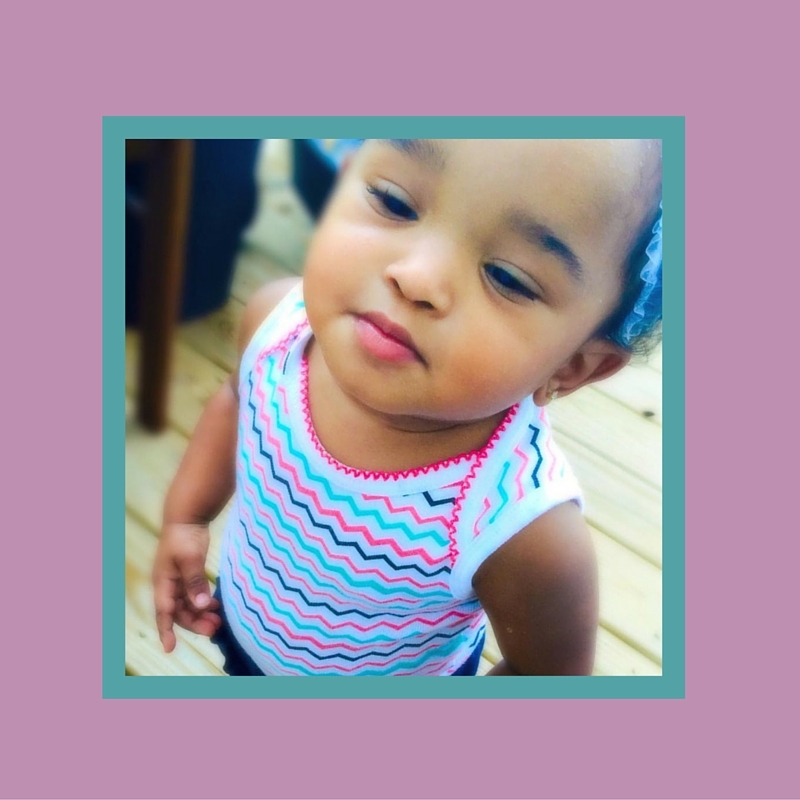 Adiana was a “Rainbow” baby, and I’ll explain that term at the end. Tell us about your baby. Adiana Carmen Ann was born at 8:32 pm at 1 lb 15 oz 13 inches on 5/13/14. She was in the hospital for 2 months (no health issues just needed to gain weight) and she came home 7/16/14. The hardest part about my NICU stay was leaving the hospital and not being able to take her home. I was at work and felt the unbelievable pain while at my desk. I just chalked it up to be something that would past and it just kept getting worse and worse. I ended up in tears and had to leave work. My husband came to pick me up. He wanted me to go to the hospital that day but I just said let’s go home and maybe it will go away. We went home and not 3 hours later I couldn’t take it anymore. So, he took me to the ER. (I think the whole time he had a bad feeling about it). But I’m stubborn. We ended up being in the hospital for about 4 hours the whole time I’m in really bad pain. That next day I had surgery; I had Ectopic* surgery on August 15th, 2013. After the surgery we ended up waiting 2 months 3 weeks 6 days before getting pregnant again. Granted my whole pregnancy was a complicated pregnancy and I had pre-eclamsia pretty much the whole time I was pregnant. I had protein in my urine causing me to be closely monitored and a week-long hospital stay starting at 27 weeks. By 28 weeks 2 days, I had my daughter. (My husband & I got married in the hospital the day before 5/12/14) and she was born 5/13/14 (we didn’t know that she would be born the next day). She is now 1 years 3 months old at 18 lbs. Despite being born low birth weight she is doing amazingly well. 5. What advice would you give to new Preemie Parents? My advice would be to stay strong and take it day by day. *Ectopic Pregnancy: An ectopic pregnancy occurs when a fertilized egg implants somewhere other than the main cavity of the uterus…An ectopic pregnancy can’t proceed normally. The fertilized egg can’t survive, and the growing tissue might destroy various maternal structures. Left untreated, life-threatening blood loss is possible. Thank you Adrienne for sharing your story and beautiful Adiana with us. I cannot imagine what this must have been like to go through! She is beautiful!! Ah, she is just beautiful! I had pre-eclampsia with my son, but thankfully not until 36 weeks – it would be scary to have it happen earlier! I had never heard of Rainbow Babies. My college roomie just delivered a (healthy)micro preemie after losing her daughter in a still birth. My niece is named Adriana! Love that name. Also, Penelope is my little rainbow baby. Big hugs mamas! Adiana is such a little sweetie. I loved reading her story here today. I love the term “rainbow baby”. Adiana is absolutely beautiful! What a beautiful story AND beautiful little girl! Blessings to you! What a beautiful story. She’s precious. She’s so adorable and what a fighter! I love that term rainbow baby. She is so adorable. And with getting married the day before her birth May must be a time with a lot to celebrate! Oh my dear!! Poor mommy. Etopic pregnancies sound so painful…and scary! I’m so glad mommy and baby are doing great. I’ve never heard the expression “rainbow baby” until this post. That’s a beautiful image. She is absolutely adorable! You would never know now by looking at her that she was micro preemie! My younger brother is a Rainbow baby, but had no idea there was a term for it until today. What an amazing story.. and how special that they got married before she was born! I had no idea what a rainbow baby was, although I’ve heard the term used before. It turns out my son is a rainbow baby! 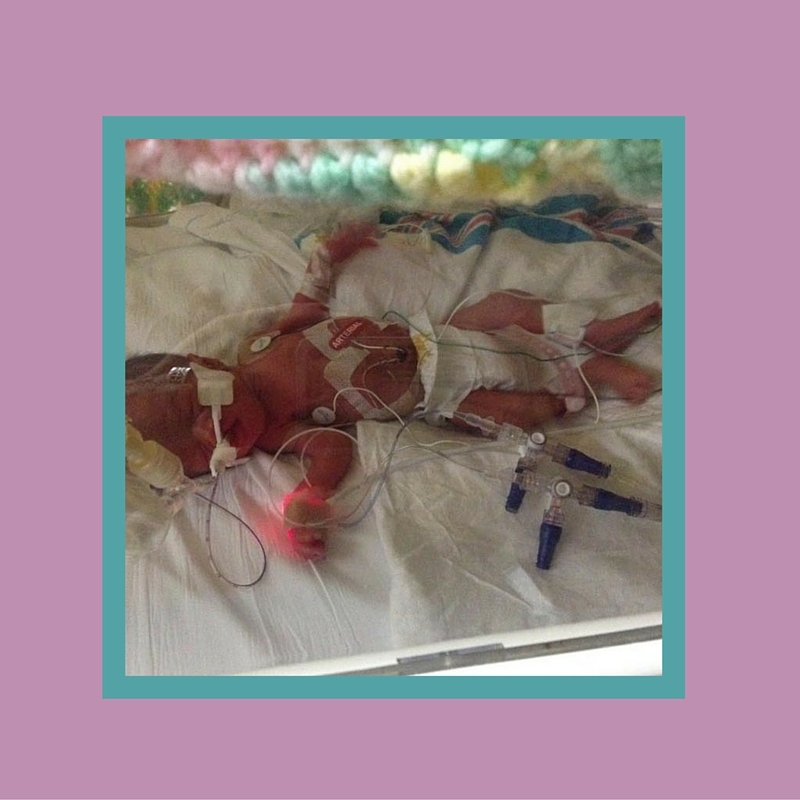 I can only imagine what it would be like to have premature baby, especially at 28 weeks! My son was in the NICU for 3 days after he was born because he had fluid in his lungs and I felt so lucky that out NICU experience wasn’t very scary. This is such a beautiful story and such a cute little girl as well!! I’m so happy that she is doing well. What a cutie pie too – absolutely beautiful! What a beautiful miracle. She is such a cutie! What a beautiful kidlet! I love meeting these micro’s! What a healthy looking beautiful girl! What a miracle! Thanks for sharing her story! What a precious baby. I didn’t know what rainbow baby meant before, thank you for sharing your story! I can’t even begin to imagine what you went through, you’re a strong mama! God bless. What a lovely story and beautiful child. My daughter was premie and has CP due to it but she is also doing very well after many surgeries. Love to all Rainbow baby mamas! Thanks for sharing! So glad she is healthy. My mom had pre-eclamsia with me and I was a preemie but not nearly that early. I was 5 lbs. Oh my goodness Adiana was a tiny baby and now look at her! She is a beautiful little girl and she’s got a beautiful name too. Thank you for sharing her story with us. Hope you had a great day Shann! Such a teeny baby. Glad that the baby is happy and healthy today. Oh she’s so adorable! So glad that she’s nice and healthy now. Great story! What a beautiful little girl! How scary to be in that situation, I am so happy that it all worked out well for baby Adiana! Welcome sweetie, welcome! You are another one of those strong brave ones who came to do great things! 1lb 15oz?! I can’t even imagine! And now look at her! She is so gorgeous! She’s really tiny, it’s a good thing she didn’t have any health issues or any complications at all! It must’ve been quite a journey for the family. I can’t imagine having a baby and then not being able to take her home! That would be the hardest thing in the world. Wow, what an ordeal you went through, but you have a beautiful daughter. Adiana is a lovely name! Wow! What a story. Simply beautiful and so amazing! Such an adorable baby. She is incredible and so are her parents. She is so cute and she looks so strong and healthy. No one will ever think that she is a preemie baby. Such a beautiful baby! I am happy she is doing well and happy that you, Adrienne, are fine as well! What a beautiful little girl. So happy everything went well for them. Glad she is doing ok! I can only imagine how difficult it must have been to leave the hospital each day without her. So glad she thrived! Great story! Love reading success stories like this! She’s such an adorable little girl! I never heard of the term “rainbow baby”…learn something new everyday! So glad she is healthy now and very sorry for your previous loss with the eptopic pregnancy. So that makes my little sister a rainbow baby as well. I’m so glad they remained strong all throughout. The baby is such an angel. Thanks for sharing this great story and I never heard of rainbow baby … good to know! It’s amazing to see how resilient our babies are. It’s hard to imagine what families have to go through in order to have their babies come home. Fighters! Oh my gosh I love that you got married in the hospital the day before you had your daughter. So precious! I’m sure it was stressful, but what an awesome memory to look back on. Stay calm and breath you both can do this.